To know more details, check out their post, here. In Asia, the turtle represents cosmic order: its shell is symbolic of the enlightenment/heavens, its body symbolic of earth, and its under-shell represents the underworld. 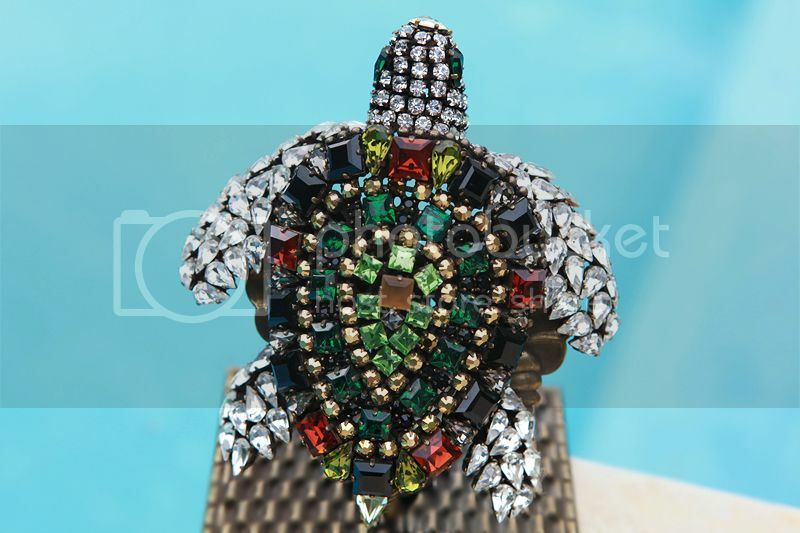 The turtle has been known as a symbol of longevity, protection, strength, and patience. To me, its a symbol for being lucky. I’ve noticed that every time when I see a turtle, a good thing will come to me. Is it too superstitious? Anyway, I love turtles. 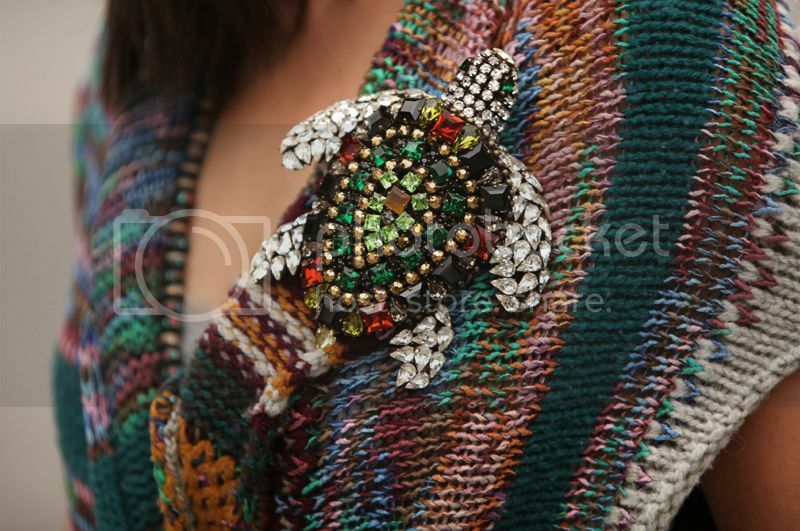 I adore this Hanna Bernhard turtle pin. It also can be a pendant necklace. Hanna Bernhard jewelry is always special. It was on the stand. 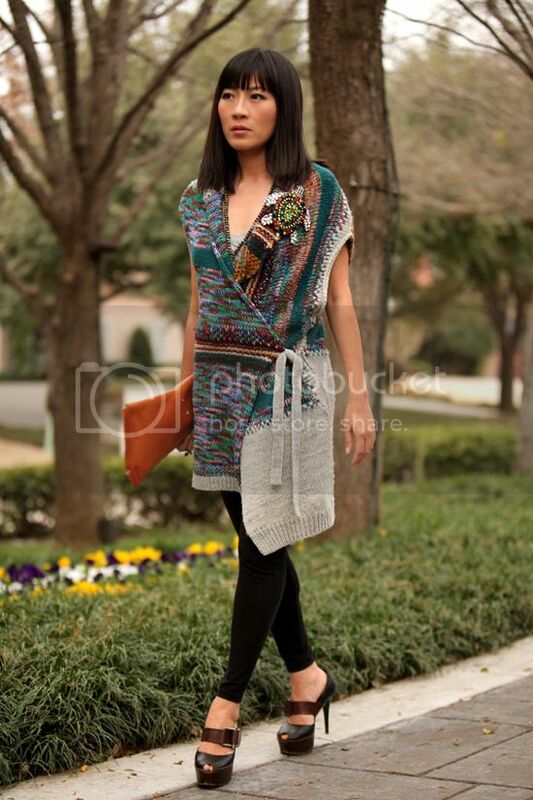 I wore this outfit long ago to meet the Hanna Bernhard team for lunch when they visited Dallas; my old Dries sweater, old Marni shoes, MMMargiela, and F21 legging. Photos were taken by my husband and me. Wishing you all a longevity and a lucky life!!!xo…Hanh! I remember my first thought when I saw your Dries sweater on the HB blog that it´s such a perfect addition for your beautiful turtle! I really love your sweater!!! That is an amazing pin! 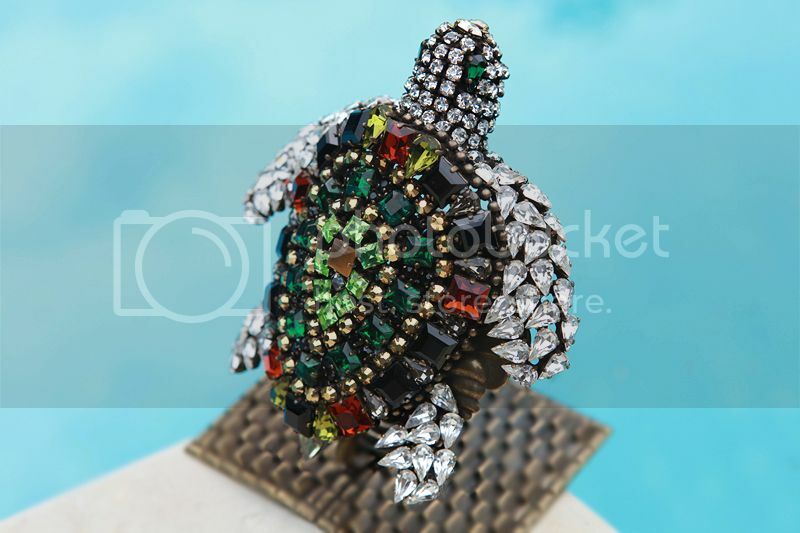 I just love the way that turtles are shaped and it makes for such lovely jewellery. That's a great symbolism. It's very relivant and could apply to all parts of different people's lives. 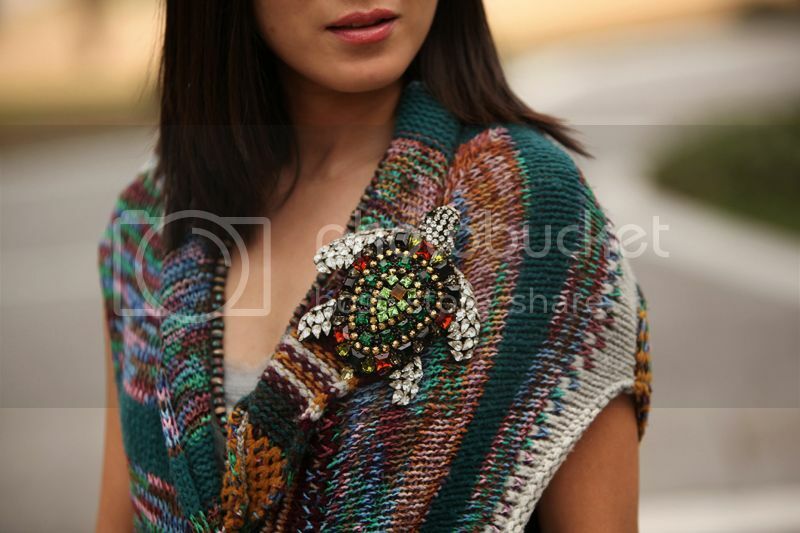 Are you sure the Hanna Bernhard team makes customized pieces for all customers? My understanding is that they do not. They only makes pieces upon request from bloggers and other "select" customers. Everyone else gets to pick from pieces that they've already made and have around or from ebay. Just wanted to mention this so it's clear to readers that they might not be able to get pieces like yours from Hanna Bernhard. this clutch is awesome! and what about the shoes? pure dream! I would suggest to follow my all friends and family to follow his blog . Vivacious Blog – Full life and energy. Nice blog. I got useful information here.